The world is at a tipping point in stopping HIV. We have the knowledge and tools we need to prevent new infections and improve care. Cities around the world have joined the UNAIDS call to become Fast Track Cities. They have made a commitment to try to end the HIV epidemic in their city. These cities are changing the way they work. They are finding new ways to connect with hard-to-reach populations. They are making it easier for people to get tested. They are strengthening their prevention programs as well as support and treatment services. And they are fighting stigma. Their efforts are paying off! They’ve seen dramatic drops in new infections and better more comprehensive care for people living with HIV. We believe Toronto should step up and join this global initiative. It’s up to us. Please join us in a free Town Hall discussion organized by the Toronto Fast Track City Initiative. 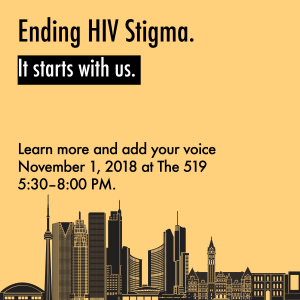 Share your ideas and let’s work together to end the HIV epidemic in Toronto. 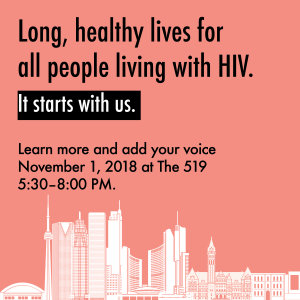 After the event, you can continue to add your voice to through our online survey and future community consultations.